Homemaking Skills Needed - I'm Overwhelmed! Heather has written in with this homemaking skills question. To sum it up, she's overwhelmed and want to know where to start. Below is her story. I would love for you to comment and share your thoughts on where to begin. I am a SAHM of 3 lovely kids. They are all very active. My oldest is 5 and has many special needs that require lots of my time and attention throughout the week in regards to special schools, therapies, doctors visits and individual attention. He is also very dependent on a daily routine and acts out whenever this routine is disrupted or changed. I also have a very smart, but very messy 2 year old daughter and a curious 10 month old that is able to get into and onto just about everything imaginable. Due to my eldest sons high needs my husband and I feel that it is best for our family that I stay home with our kids and care for them rather than working outside the home. Living on one income is not easy, especially when it isn't a whole lot to begin with. While I appreciate his efforts to financially support our families needs, I am left with the task of managing 90% of the households needs (as with most other mothers...). We live in a 900 square foot apartment that has 3 bedrooms and 2 full baths. We have some storage space, though not fantastic. Five people in such a small space can be frustrating, and when it's a mess, we feel as though we are climbing on top of each other. We are working on paying off our credit card debt and ever increasing medical bills to get into a house, but it's looking like at least a year before we can make that happen. For now, we are pretty stuck in this small apartment. After I had my 3rd baby last spring I got extremely overwhelmed and depressed trying to keep on top of everything and started losing control of the daily up keep of our home. We are officially a terrible mess. It's embarrassing to have company over but with my son having in-home therapy twice a week this is unavoidable. I LOVE LOVE LOVE the idea of the household notebook and would love to implement it. However, I feel like I need to find our floors and surfaces before I can get that going. I guess my question is: where do I start? How do I tackle such a massive task alone while still trying to care for my children and keep them from making the mess larger while I clean? My husband is a fantastic man and father, but not the best of help when it comes to cleaning and upkeep. Yes, if I ask him and assign him a specific task he will do it, most the time...but not always. Honestly though, when he is home, I don't want to clean or cook. I want to play with my kids and relax with my husband. I need to be able to tackle this mess before 5pm as well as do the grocery shopping, create and implement a menu, cook it, etc. We have 3 massive mountains of laundry. A giant dirty pile in my bedroom, a clean pile in the hall and a clean pile in the living room. For every load I get washed, it would seem 2 more loads get dirtied and I can't manage to get them put away. This is the most frustrating of my tasks. Included in this laundry are lots of clothing that the kids have outgrown that either need to be stored or donated which is why this process is even slower. My daughter has her own room and the boys share a room. The toys are every where and the floors are impossible to find. This has now led to the toys being dragged into the living room (which I try to keep picked up so we have some open floor space!) and then we trip on them there also. The kitchen is small so cooking one meal completely destroys it and I can't seem to keep up on the dishes. As soon as I get dinner done the kids are screaming because they're "starving" and we go straight to eating, then baths, then jammies, then bed...and before I know it it's 9 o'clock and I am wiped out and my husband is tuned out to reality and the kitchen and table are still a disaster. The bathrooms are fairly easy to maintain unless the baby (and two year old) unravel toilet paper or toss dog food all over (our main bathroom is very large and we keep our dog kennel and dog food in there). Then there is the paper trail. I have baskets and boxes of 2 years worth of mail and medical notes and research piled in our master bedroom, which also serves as our office. They get searched through whenever we get behind on a bill or need to reference a document. Most of it is needing filing and shredding. Between these baskets and boxes and the mountain of laundry my room is anything but a relaxing sleeping retreat. The surfaces of our dressers and counters are covered in piles of stuff that need to be put somewhere, but that somewhere pretty much doesn't exist so it just gets left there. And then once it does get picked up, how to we stay disciplined so it doesn't happen again? Any advice would be very helpful. Heather, first you need a cyber hug!!! I am thinking of you!!! Now, look at the picture at the top of this page. 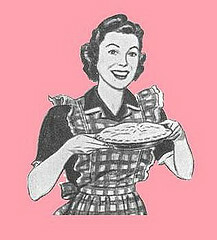 This is the typical Suzy Homemaker. You do not need to be her to be happy! Remember that. Just be the best Heather you can be. Your description of how you felt after you had your third child sounds really familiar to me, because I felt the same way. For some people it happens after 2, some 4, some never, but for me three was the number that tipped the balance. It sounds the same for you. Basically, what I learned was that I had to approach things differently than I did before, because these wonderful children I had were a lot of work, just themselves, much less adding on all the work they provide with a messy house and keeping them fed, clothed and clean. The two big areas I personally would work on first are the kitchen and the laundry. When you can eat meals in your home without as much stress (since this happens at least 3 times a day), and also have clean laundry to wear, things seem a lot better. For the kitchen have a day where all you do is focus on the kitchen and getting things clean, when you can. That may be 5 minutes here and 5 minutes there. Finish up when the kids go to bed if you have to. Maintaining is easier than the big clean up, so clean up after each meal. I know it is hard when all the kids are small, so catch up while they are napping if you must. Here is my suggestion of daily kitchen tasks that need to get done. It will take longer at first to do these things, but as you do it more frequently it doesn't take as long. Plus, you will need to get in the habit of tackling one or two kitchen tasks every time you walk in there. Like sweeping the floor really quick, or taking out the trash, or sticking dishes in hot water to soak, etc. When you have very small kids all you get are 2-3 minutes at a time, but if you use them wisely they can add up. Next, do a laundry reboot. What I mean by that is to do all that laundry, and deal with the clothes. 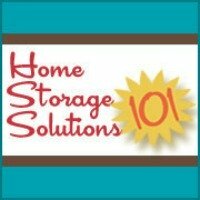 Get rid of what you can, and put what will be used for a younger child or in a different season in storage so there is not so much out. It will most likely take a couple of days, and you won't have as much time because you will also be maintaining the kitchen, which will take time itself. That is OK. It will not change overnight. Once you have your laundry under control you will need a routine for this too. I personally suggest a weekly laundry schedule, especially since you have three kids. That means you most likely need to do laundry every single day to keep up. My hang up is actually putting the clean clothes away. Wherever in the laundry cycle you seem to have a problem, really focus on making sure you do that part and things will improve. It took your home a long time to get to the point where you feel it is out of control. It will take just as long, or longer, for everything to get back to where you like, and even then it will take a lot of time to maintain it everyday. That is OK. Just these couple of steps will make you feel better, and let you enjoy your home and kids more. That is just my advice. I know that there are other people that have different opinions of where you should start. I would love to hear from you in the comments, because no one answer is right. Lots of perspectives are helpful and useful, because different things work for different people. Good luck Heather! Just remember you aren't alone, and that people are thinking of you, and also in the same boat you are! Comments for Homemaking Skills Needed - I'm Overwhelmed! When we left KY four years ago for MI, we went from a 2,000 sq. ft. house to a 900 sq. ft. apartment. We're currently in a house again, but renting because of paying off large debts. I also have 5 1/2 year old identical twin boys, and a husband who travels for a living and makes almost no money. I too am a SAHM so that we won't have to pay a lot of money in babysitters or daycare fees. We are definitely considered a low income family. When we moved into the apartment, I got a lot of things to help me organize - shelves were a big help. Whether they were cabinets installed in the bathrooms or bookshelves in the bedrooms. I stored toys in large bins in the kids closets. For our makeshift filing cabinet, we had rubbermaid file bins with lids that had handles on them. We would store those on a shelf in the closet. We also had a mail and key holder. We had a slot for incoming, outgoing, and bills to pay mail (and still do). That helped to cut down on the amount of paper. Everything was filed immediately. Because I was suddenly taken away from all my family and friends (and left with no help), I set up a cleaning schedule. Every day there was a room to tackle. Saturday-if my husband happens to be home, then this is my day off. I'd go out, and run errands including grocery shopping. So, technically it wasn't a real day off (and still isn't, I just get to spend it by myself). I'd make a menu, and clip coupons before even heading out for the day. My boys never did sleep through the night or even take naps, and they still don't to this day! So, I'd put them in their room with a baby gate while I tackled the chore of the day. Of course the monitor was on so I could hear them. I don't really need to do that anymore now that they're 5 1/2 and can entertain themselves. I even give them small chores that they can handle to help me out throughout the day. They love to help! Also, have a set routine for everything throughout the day. Breakfast is always at 8 AM in our house, and lunch is always at 12 PM, with dinner always at 5 PM. We also have set time for when we play outside, or do a project, or work on homework. We also have only one hour of t.v., and that's usually in the morning when I'm trying to tackle the chores. If your kids nap, then maybe you can get some chores taken care of during that time. Bed/bath time routine is always at 7 PM. That means at 6:45 PM I have to start telling them to pick up their toys. Yes, my kids put their toys away because if they don't there's no bedtime story! I always wash dishes/load dishwasher promptly after dinner while my boys play. Just before I go to bed, I unload the dishwasher. That way it's empty for the next days dishes. I don't have any big answers, but I have one little tip that might help a little for your laundry. I have 5 people to do laundry for and 2 small toddlers that like to "help," mostly by making sure I get lots of practice folding - they unfold it FAST, lol. So, I just fold one person's at a time. Then I put that one person's away before I do anymore. That way, they can't unfold as much and I do make some progress. I might only get 15 minutes, but I try to put away what was folded instead of waiting until it is all folded before I put it away. Hi Heather! First, as Taylor said, it's time for a virtual hug!! It sounds like you are a great mom who is trying her best- never forget that! I've been right where you are, only in a larger space. It seems like there are always toys everywhere (5 yr old and 2 yr old boys make a serious mess here!). And the laundry seems insurmountable. But it just takes a system, and it won't take you long to get where you need to be to create one. Though my husband laughs, I spend my Friday nights watching TV, drinking wine and... sorting laundry. Rather than do laundry every day (which I find frustrating and gives me the feeling that it will never end), I do ALL laundry on Saturdays. My oldest plays hockey at 7, so I throw the first pile (sorted the night before) and toss it in. The at-home parent (me or hubby depending on who takes our son to his practice) flips it 45 min later. Then I continue to work on it through the day. As soon as it is out of the drier, it gets folded and placed into a basket labeled by name. Everyone gets their own, on the counter where the boys can't reach it- otherwise they too would toss it at each other! 10 loads later, it's 5pm and everything is folded. I make dinner, and we eat a family meal. Then my husband is on duty for baths/shower supervision, and I set the kids clothes into outfits- pants and matching shirt, undies and socks. This is how I put them in their drawers. It's an extra 5 minute step at the end of the process, but it saves me tons of time in the mornings because the kids just pick an outfit and get dressed- no arguing about what matches, etc. Once the kids laundry is in the drawers, I wash dinner dishes, load the dishwasher and then help get the boys in PJs. This usually gives us time for a board game or puzzle all together, which my oldest says is his favorite time of the week! Our boys are usually in bed by 8, with quiet reading time until 8:30. During their reading time, we finish cleaning the kitchen, put away the toys, put our laundry away, etc. Once it's lights out for the kids, we go "off duty." It's our time for reading, talking, TV or whatever, but we don't do anything related to kids. Once you set a plan to get back on track, it will be much easier to keep it up, I promise! Good luck and know that you're not alone! Hi and hugs to you! You are not alone in your struggles with household management. I have been there as well (and some days I'm right there with you). Some GREAT ideas in the comments, but I will add what changed my systems around here. Namely, live with things that actually fit into your space. This means making hard decisions on what to let go of, pass on, donate, or trash. I drastically cut down our laundry (5 people, about 4-5 loads a day before my culling) by getting rid of a lot of extra clothing. It was hard, knowing how much I had spent on my kids' clothing, but now I can make better buying decisions instead of impulse buying. I went through my own closet and literally donated a dozen bags of clothing, shoes, and bags I never wore or just didn't work on me. By getting rid of stuff that wasn't essential to my daily life, I freed up my space, my mind, and my time. I would start with the daily cleaning that MUST happen- meals, etc. Then each day take 15 minutes to pick 1 area and deal with the "stuff" there. Keep, donate or trash. It must have a home. It may take a day, a month, 6 months, etc. but you'll get there! Take it slow and don't stress it. You can do it!!! Good luck!! --don't stress about folding kids clothes, they are small enough to lay flat, so stack 'em and put them in a drawer or shelves. --keep one kind of socks for your kids (we do white, each child has a different color stripe or brand name on their socks) and stack them too. My kids do not have dressers but shelves, and a bin for socks and a bin for underwear. --before you go to bed, start a load, and switch when you wake up. I will start a load before I get into the shower, switch after breakfast, and keep a timer with me to alert me when they are done. Within one or two of those timed cycles, I try to speed clean/clear/or spend specific time with one child. --My house is small enough that I can't leave a pile of laundry out, so I don't allow myself to switch unless the stuff in the dryer is dealt with. So, I have an "over the door" hanger on my towel bar that hold the items that are on hangers and a rack over the dryer that holds the stacks of clothes. They tend to get put away when the area is full, a couple times a week. --Try to fill a trash bag a day and get it out of the house. --I finally had to really pare down my son's toys as he was overwhelmed, to things he plays with consistently: legos, cars, and K'nex. The three bins line his wall, plus one that hold miscellaneous stuff. --Baby gates were an absolute MUST for me. The kids were "gated" when it was naptime--they didn't have to sleep, but just have quiet time. I gated them an extended corral (hallway, living room, dining room, bedroom) and had to step over them to get to the kitchen/bathroom/my bedroom. Keeps them safe and me sane. --Review your systems: where do you normally dump your purse? Put a table/box there to catch it and your coats. Where do you normally dump your mail? Put a trash can there and a basket with your bill paying stuff. What stuff do your normally use often in your kitchen? Put the seldom used stuff on ebay or a rubbermaid bin in the dining area. --Emphasize and work first on the parts of the house that you spend the most time--at the computer desk, in the living room, or wherever, and focus on decluttering and organizing only that room. It will be a calm in the storm of your house, and you will keep going back to that room because it is more serene. --The book that changed my life is 30 Days to a Simpler Life by Connie Cox and Chris Evatt, a book that helped me to realize how much possessions were complicating my life. Grab it if you get the chance. --Get a tiny chest freezer off of craigslist and make pancakes, muffins, lasagna, meatloaf, or whatever and freeze it. God bless you and I hope you are able to hold onto peace in the middle of the chaos, because the chaos will pass quicker than you think. Please look up the Fly Lady website. The techniques are very simple and make a lot of sense. You start by building one habit at a time. You are doing a great job! The FlyLady always says you don't have to be where they are, you just have to jump in. They have techniques that show you that it doesn't take a big chunk of time to do something, you can use a timer and set for 7 minutes or 15 minutes and declutter everyday. Before you know it, your house will be back to normal again. There are even music cds and techniques for your kids that make it fun, getting them involved gives them a sense of belonging and shows them how much they are needed. Great for their inner locus of control. First I need to say thanks so much for every ones positive comments and words of encouragement! I feel so much more hopeful in over coming this mess. On Friday I ended up watching two extra kids all day and got so frustrated they couldn't play in the kids rooms very well because they were such a disaster. I was so frustrated in fact, I gathered all the emptied toy bins and boxes etc. and loaded up every single toy there was and piled them all in my living room. Once I got all five kiddos down to nap I sat down and started sorting. I committed that I would only keep what would fit in the toy bins on their shelves. It took all afternoon, shocking my poor friend when she showed up to such a disaster of toys, and most of the evening (not to mention we just went and got pizza for dinner to avoid more messes and take a break) but I did it! Four diaper boxes full of toys to donate and two trash bags of busted ones later my kids have clean spaces to play! Plus, they are keeping entertained enough I am actually getting more done! YAY! Today we are tackling these laundry piles and tomorrow our "Meals on Wheels" charity mart will be getting a HUGE donation! Thanks again! I will keep you posted! Heather I want to first say "Thank YOU". You had the courage to speak up and ask for help and I have not but thanks to you you have gotten some great advice that I can use also. As all the nice ladies have said you are not alone. I too have a cluttered home. Not only is my home cluttered but I think because of the home clutter my life seems cluttered. Does that make sense to you? I am married and only have 1 child who is 6 1/2. We also have 2 inside dogs, one who sheds terribly. I have put in hard wood floors and you have to continually sweep up hair because there is just a ton. But before I can do that I have to clean up all the toys and clothes my son and husband throw all over the house. Yes, my husband thinks I am the maid or his mom, I don't know which, and he can not even put his dirty clothes in the dirty clothes. My floors are not even the problem. Every where in the house is just clutter. Lots of toys, shoes, clothes things we use but also lots of paper that I do not know what to do with, lots of my husbands tools because he won't pick them up and put where they belong, lots of just junk that I don't even know what it is or what to do with it. Laundry is never ending, especially in the winter when my husband wears 3-4 layers of clothes and you know only the outside layer may have gotten dirty but he thinks it all has to be washed. I think my husband is the problem. lol. However the worst room in the house is my bedroom. We have no storage at all in this house. I have tried to de-clutter clothes and put them in bags to donate but they are all sitting around my living room and bedroom waiting for me to have enough gas to take them. I donate to an animal shelter that has a thrift store and they sell, and all proceeds go to care for the animals. This shelter is 30 miles away. Dust is an issue here as we have a vaulted ceiling that is over 12ft high and beams going all over the house I can't reach them and even a ladder is too short. So tons of dusting needs to be done. I have been carrying things with me for 25yrs that I know I should let go of but that's all I have. I can't see my bedroom floor and can't even get into my closet. Most of my clothes are too small but I can't get rid of them all or I will be naked. We have no extra money for those. My son has tons of clothes, mostly given to him by family and friends. Most are too big that he can grow into. Not much storage for those. I can see my floors after I pick up the toys and vacuum the dog hair but other than that my house is cluttered to no end. I can't see the tops of tables, desk, filing cabinet, dressers, or my bedroom at all and I can't keep up with laundry. I don't work. I am on disability and the whole thing is just stressful. Thank you for asking the question "where do I start" because I need the same answers. I have to share something that has been working for me in trying to get our house under control. I think I'll have to post in two parts because it's so long (sorry!) I have 3 kids (7, 11, 13) and two part time jobs. I love to organize and work on house projects, but I have a huge problem with picking up and doing actual cleaning (I've been known to paint my baseboards rather than clean them when I'm expecting company). After reading every organizing book I could find, signing up for online courses, etc. I decided that my main problem is follow-through and that the solution is to develop good habits. Of course, every organizing book/website will tell you the same thing, and that you should "make a schedule" (which I'd done about a hundred times) or "create a routine" (which I'd done about a thousand times). I would create long complicated lists in Excel, follow them for a few weeks, then something would happen or I'd get distracted and end up right back where I started, or worse off - because I'd tried to create too many good habits at one time. The solution I've come up with requires a lot of patience and a strong tolerance for living with the disorder you currently have - it's very slow going - but so far it's the only thing that's worked for me. What I did was get an index card file, some dividers labeled with the days of the week and some 3X5 index cards and I wrote just a few things down (one per card) that I wanted/needed to get done every day. If I remember correctly I think I started with laundry-related items - I do laundry every day - one card for "put in washer", one card for "fold", etc. and a couple of other items like "clean off nightstand", "clean left half of kitchen island" (the island gets too cluttered for me to consistently clean the whole thing off every day!) and "process/file" mail. Each day after I did a card I moved it to the next day's divider - if I didn't get a card done one day it stayed in front and that would be the first thing I did the next day. You can see I started really, really small. If I had time on a particular day, or if I felt really motived I could, of course, do more chores, but I knew that I didn't have to and I never felt overwhelmed. After a few days I noticed that when I got out of bed in the morning I was automatically clearing my nightstand of the glass I had used in the night and the wrappers from my daughter's string cheese eaten during story time the night before, and bringing them straight into the kitchen. The "clean the nightstand" card was done for the day without me even thinking about it! And what had taken about 10 minutes the first day I did the card took about 3 seconds by the end of the week, because I had been doing it every day. After a week I added just one more card to the file, followed the cards for another week, added one more card the next week, etc. At the beginning these were usually just "picking up" cards, but after a few weeks I started adding one "pick up" card and one "cleaning" card each week. I've been doing this for several months and am just about to start adding "organizing" cards to the file (my reward for actually doing consistent cleaning for the first time in 13 years!). This is certainly not a quick fix, but it's working really well for me - I'd love to know if anything else thinks it would work for them. I could not help but see that your husband's slothfulness is part of the problem. If he leaves his tools around, put them somewhere else not easy to find. And if he complains, tell him "Oh, sorry, it was in the way and I didn't remember where it went." Eventually, he will find a place where they won't go missing. Sadly, I do this to my kids--it takes awhile, but eventually they learn that if the item is not in its "home," it will go missing and they have to pay for it with a chore. If they don't realize it is missing, after a month or so, the bin I was hiding it in goes to the thrift shop. I find that living is so much less stressful when there isn't stuff everywhere. I would love to recommend the book by Don Aslett, How to Lose 200 lbs in a Weekend. I want to start with what I see as the biggest problem for all of us. We think we need to be wonder women...that we must do it all. What we really need is to do our husband and children a favor and teach them they have a responsibility to help. Yes! They need to help. If they aren't taught to help and take responsibility, they will think everyone in the world is there to take care of them. They will be known as the "diva" or "needy" or "difficult". The list goes on. I don't think any mom wants that. It isn't mean to make them help. It makes them feel proud of their accomplishment. Don't get me wrong, they would prefer ( like all of us) that someone else do it for them, but it's a disservice to them NOT to teach them the NEED to be helpful to those around them. It will help them succeed in all they do. The first time I stopped everything and said, everyone needs to help me clean for 20 minutes, I was amazed at how quickly the chores went! It would've taken me 2 days to do it all alone. I've seen great tips on here so Good Luck to all of you, I hope this helps.